Field Mycology and Conservation is about recording and describing the diversity of fungal life and with its conservation. A huge task given the vastness of the fungal kingdom. 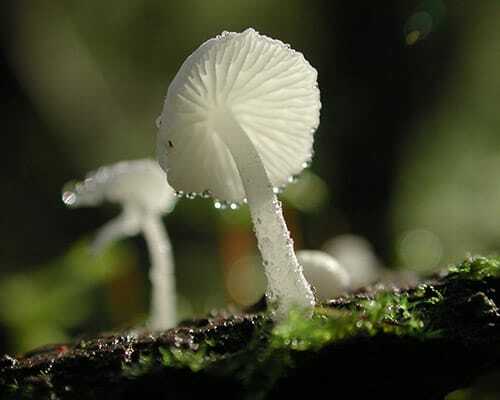 All the activities are coordinated, where it is helpful, by the members of the Field Mycology and Conservation Committee of the Society who are elected by the membership. Most of the effort however is put in by individual members and local autonomous groups. Anyone with an interest in observing, recording and raising the conservation status of fungi will feel at home here. This is a self supporting network of local recording groups stretching from Scotland to the South of England which are affiliated to the British Mycological Society. They provide an excellent opportunity for those starting out to explore the fungal kingdom as well as mutual support and help for more experienced forayers. Each year the Field Mycology Committee organises a number of forays and workshops which are open to everyone. The events are coordinated by the Foray Manager and Local Organisers. Tutors are experienced field mycologists based both here in the United Kingdom and in the rest of Europe. The BMS has been involved in the Conservation of Fungi for 25 years. During the early years fungi had a low profile in the conservation world and it was through the efforts of the early Conservations Officers of the Society and others that the development of Red Data Lists, Biodiversity Action Plans, and the selection of species for the Wildlife and Countryside Act took place. Members have been recording the occurence of fungal fruiting bodies since the Society was first formed in 1896. These are now held on the Fungus Recording Database of Britain and Ireland (FRDBI) and are available through a number of internet sites. The FRDBI now holds over 1.5m records and is a major resource for conservation and research purposes.